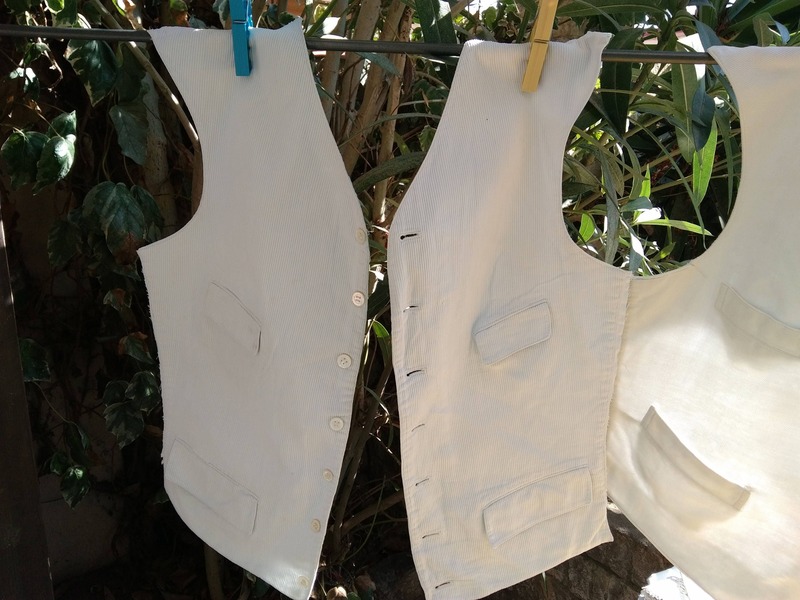 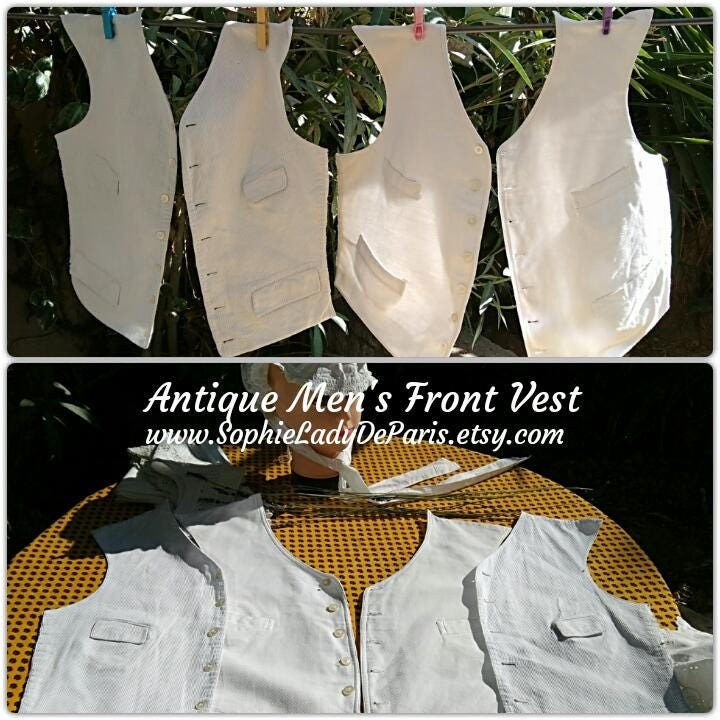 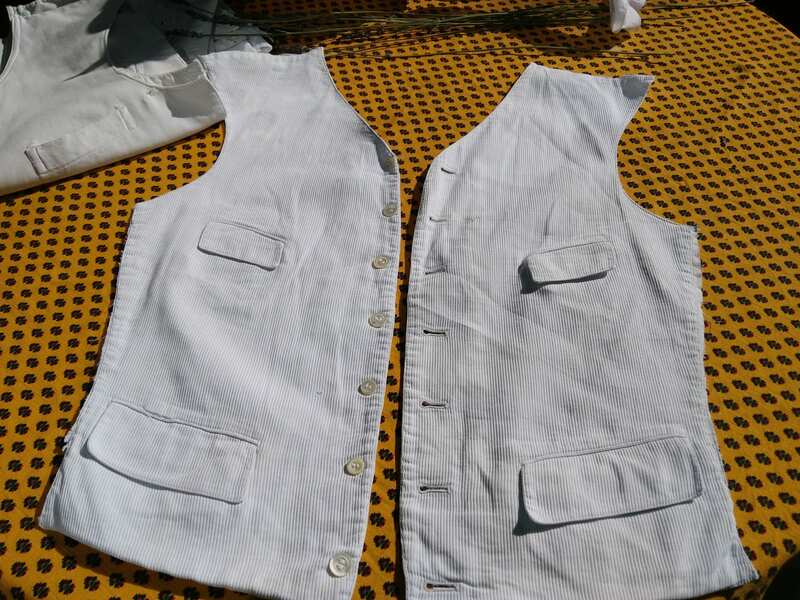 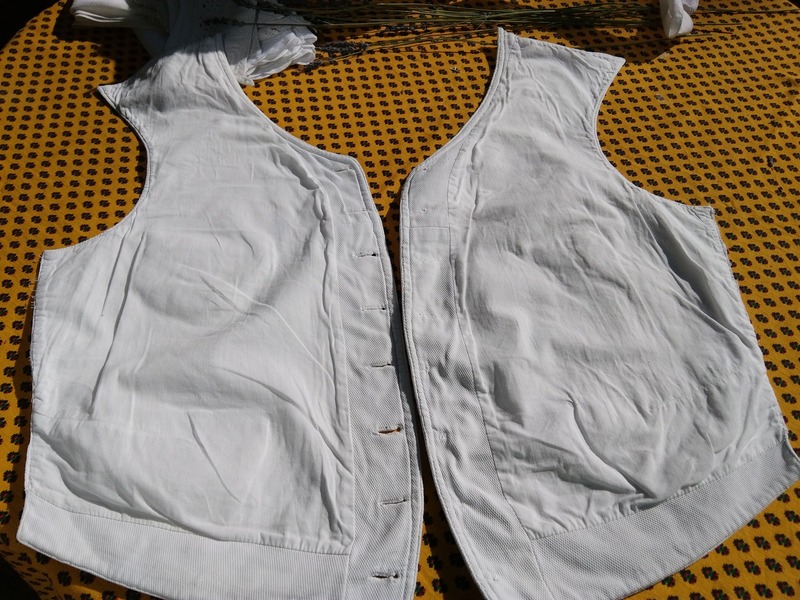 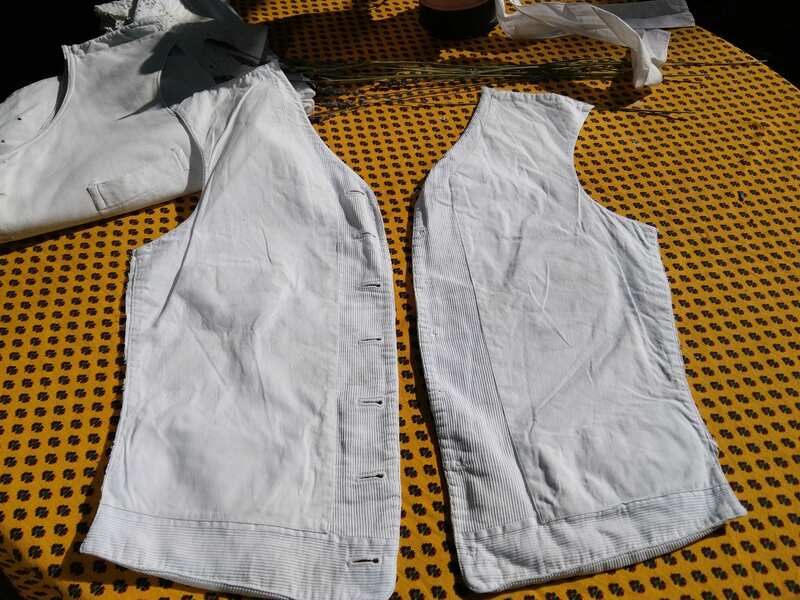 2 Victorian French Men Front Vest kits for sewing project. 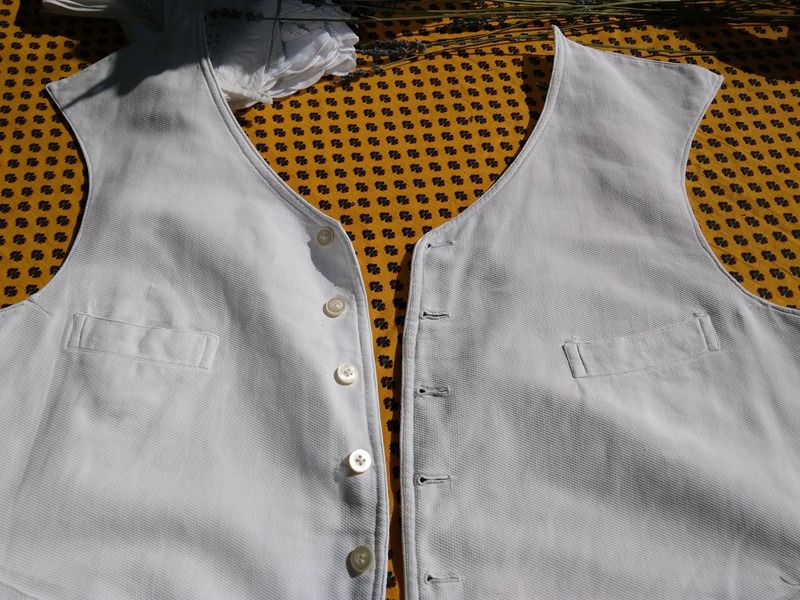 White ribbed cotton lined. 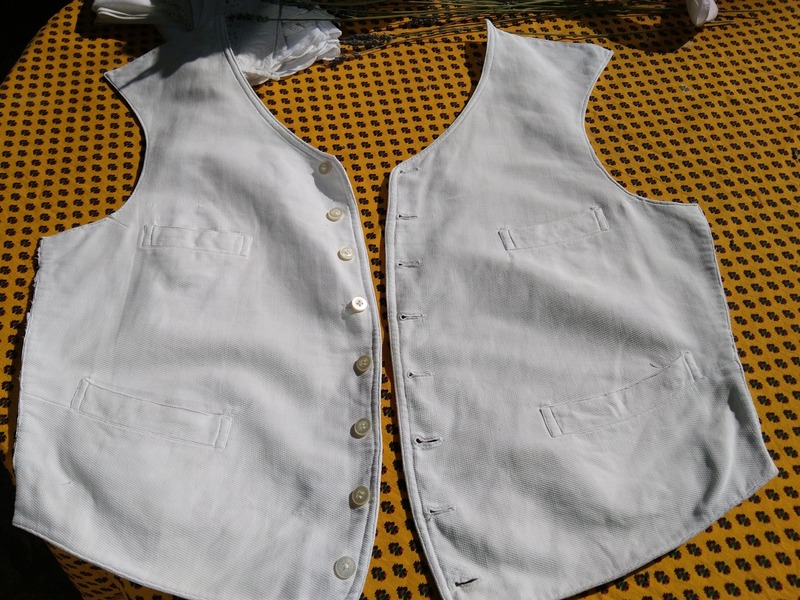 One has ribbed stripes and the other one has scales. 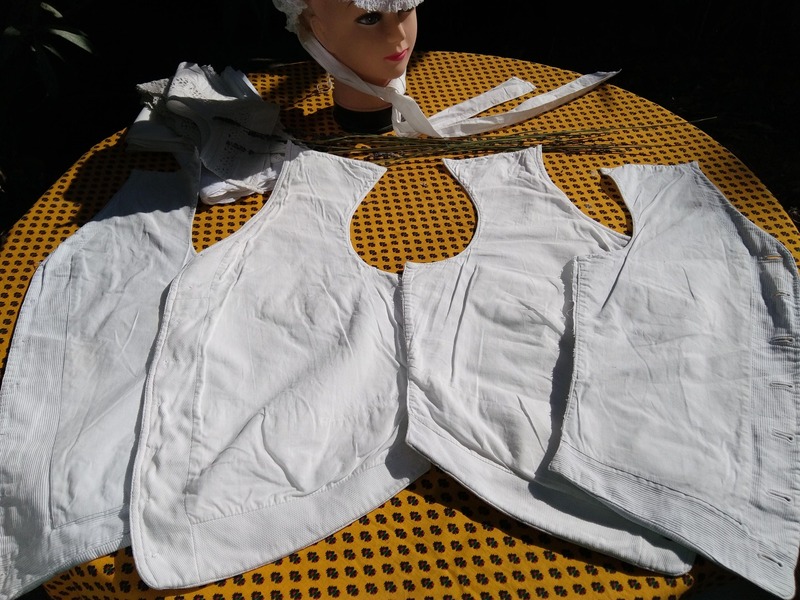 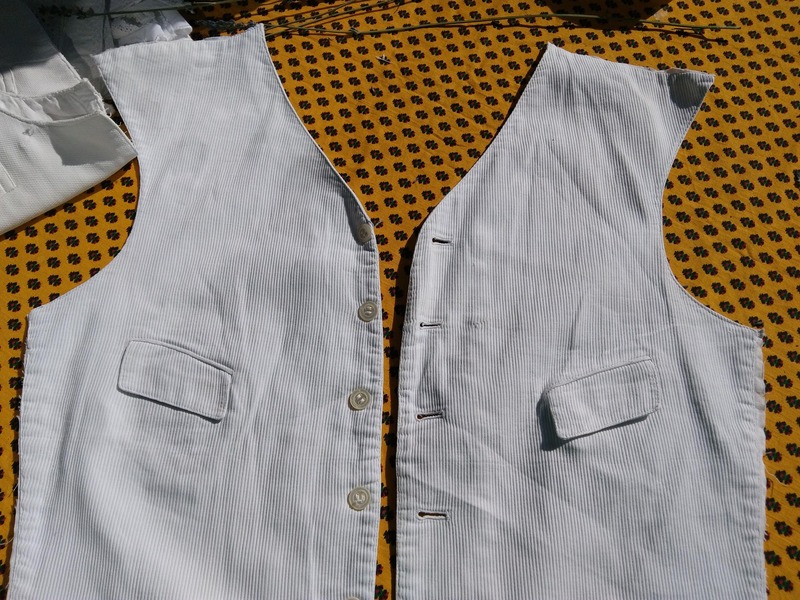 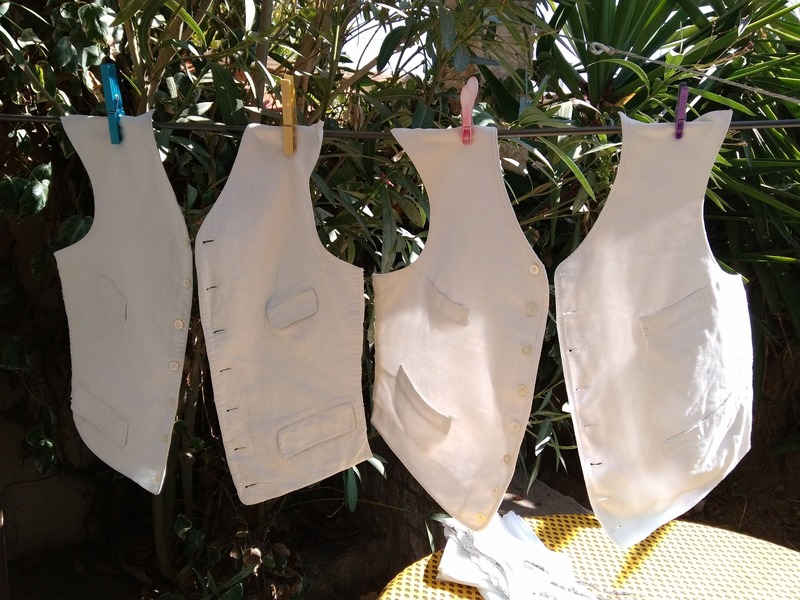 Lovely antique pieces to re-make vests by adding backs, could be dyed.